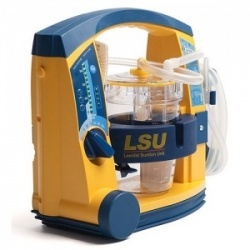 The Laerdal Compact 800ml Suction Unit (LCSU 4) is a suction unit that is particularly useful for first responders who need a lightweight, portable solution to clear patients' airways. Although its design is compact, the unit's tubing can be difficult to control. 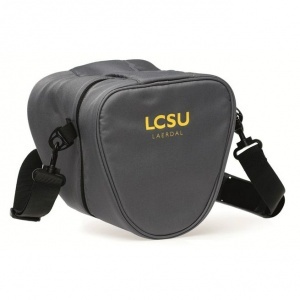 As such, the Carry Bag for the Laerdal Compact 800ml Suction Unit (LCSU 4) helps you carry the unit without stepping or stumbling on any dangling tubes. As the 800ml Suction Unit has been designed with EMTs in mind, its Carry Bag is the perfect solution for helping you carry the unit. This is particularly useful in the field as you never know what kind of environment you'll have to work in. Avoiding cross contamination is integral for providing patients with effective medical attention. 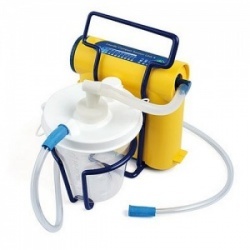 Not only can the Carry Bag be utilised for transportation purposes, but it can also be used to store the Compact 800ml Suction Unit safely. 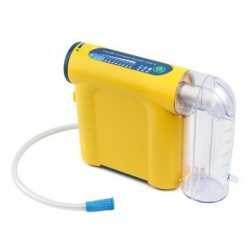 This is particularly useful as the Suction Unit has detachable parts that can go missing if not stored properly. Disclaimer: The supplied Carry Bag might have a different design to the bag pictured. The Carry Bag for the Laerdal Compact 800ml Suction Unit (LCSU 4) will be subject to a delivery time of 3 - 4 working days after the point of order. For more information, contact our Customer Care Team at 020 7501 0593.